Every great game needs a try-hard spin-off, and Fortnite’s version of this is Fortcraft for PC. It was developed by NetEase as an android version of Fortnite and it plays just like the game it was based on. PUBG Corp. already has lawsuits filed against NetEase for copyright infringements with relation to their game ‘Knives Out‘, but that didn’t stop them from creating FortCraft as well. NetEase has made several PUBG-type of games including Rules of Survival and Knives Out. Fortnite came along and dominated that genre with their battle-royal game with building elements therefore NetEase created their own version which many would say is a blatant rip-off. 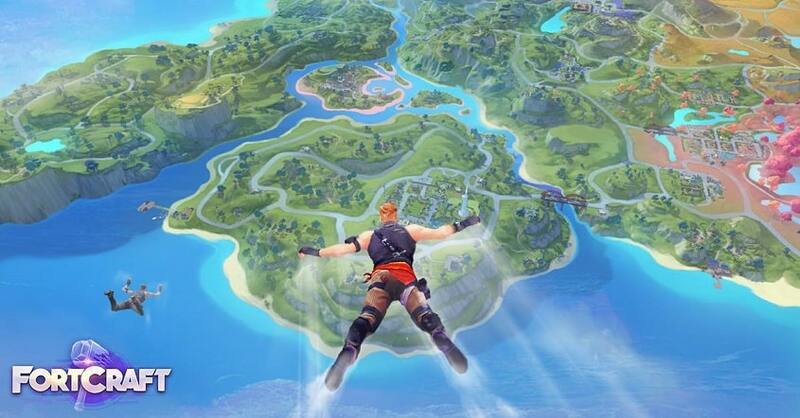 FortCraft’s map is just as big as Fortnite’s, with a 16 million meter-squared arena filled with 13 fresh environments just itching to be explored. All of the environments are smashable so you can go around with your favorite hammer destroying buildings, vehicles and anything else that you would like to repurpose for your own uses. Resources collected from destroyed items can be used to build large structures instantly in any way you want. Such structures can be used to cross rivers, scale mountains or build towers that can be used as vantage points to take down your enemies. Building is an essential part of FortCraft for PC and you can’t do without it. Building stuff is fun however a building won’t keep you safe from the roving enemies. The game lets you pick from any of 12 unique weapons which are pistols, sniper-rifles, assault rifles, shotguns or sub-machine guns. For that extra bit of stopping power you can pick up special weapons such as flamethrowers, grenade launchers and bazookas. 3 different game modes are available to play with. Each one allows you to customize your user interface, transparency and positioning so that you can find the controls that are most comfortable and effective for your style of play. If all this feels like too much power in your hands, you can stick to the default settings which work very well. As a bonus to gameplay, FortCraft also has ranked season, live streaming and in-game chat functions which are available from the get-go. 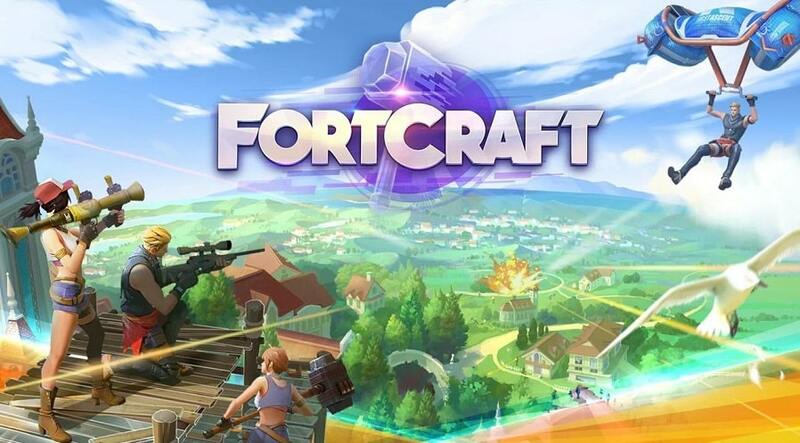 FortCraft is a good clone of Fortnite and includes everything that you would love about the original. Building structures and killing your enemies in a battle-royal is always fun regardless of what it is called. Besides the obvious lack of originality, the biggest drawback to FortCraft for PC is that the controls are difficult to master. Once you get past that then you’re going to have to deal with a ping that is annoyingly long if you’re playing in the west however it is not such a problem when playing in Asia. The graphics for FortCraft aren’t as good as Fortnite’s however that is to be expected since it was developed for less powerful devices. 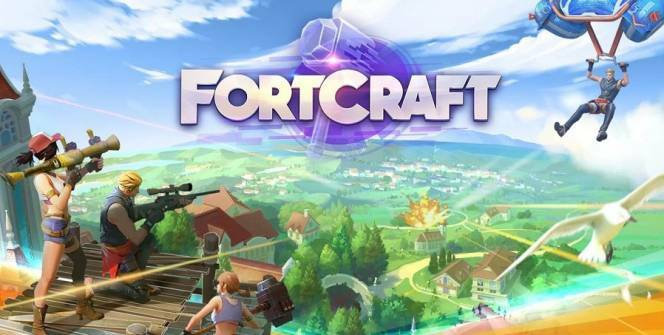 FortCraft gives gamers what they want from this kind of game however if given a choice, most people will choose Fortnite because NetEase‘s game simply can’t compete with the stellar graphics and larger player base that Epic Games‘ version provides. The cartoon-like aesthetics suit FortCraft for PC’s version better however that doesn’t make much of a difference. Sometimes when playing FortCraft, bluestacks ask you fee to pay but gives you option to download some apps. Every time it asks you just select “Install apps” and continue using it free. I hope you enjoyed this article, please rate and share. If you have problems running FortCraft on your desktop or any other issues, leave a comment below.